Diaa Bekheet | Washington, DC – Innovative and influential American jazz pianist Ahmad Jamal is performing this coming week at the Theatre du Chatelet in Paris, France as part of a world tour that will also take him later to Martinique, Rome, Italy and Istanbul, Turkey. 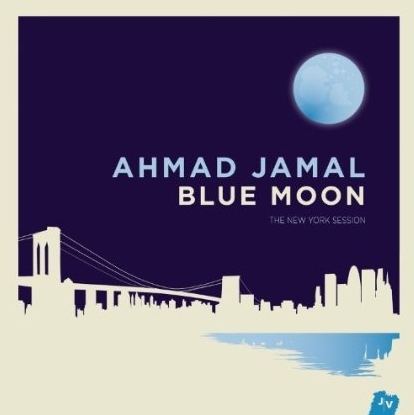 Jamal will play songs from his new album Blue Moon. The CD, described by jazz critics as his latest masterpiece, contains nine songs. Jamal is best-known for his distinctive piano improvisations. He still plays music with the same energy, elegance and sophistication at the age of 82. The talented pianist has been labeled as the chief apostle of American classical music. 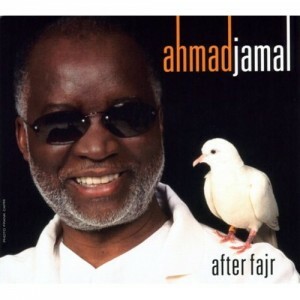 Jamal has been touring the world for concerts and performances for more than five decades. He started his concert tour by visiting Egypt, Sudan and Ghana in the late 1950s. I first profiled fabulous Jamal in 1994 when the National Endowment of the Arts officially recognized his genius and named him a Jazz Master. I also highlighted many of his performances at festivals in the 1990s, including his noteworthy appearance at the 1998 Poznan Jazz Fair in Poznan, Poland with his quartet. The group included bassist James Cammack, drummer Idris Muhammed and Othello Molineaux on the Steel Drums. Born in July 1930 in Pittsburgh, Pennsylvania, Jamal strongly believes that “music soothes the savage beast.” He began playing piano at age thee. He always had one straight answer to the question asked by so many music critics on how he got into the music business. “I didn’t choose music. Music chose me,” stresses the iconic bandleader, composer and educator who once played with jazz legend Dizzy Gillespie. Just listen to his latest album Blue Moon and you will find that he is still as compelling as ever. One of my all-time favorites is his gorgeous and signature track “Poinciana” from his classic 1958 album At the Pershing: But Not for Me. It remained on the Best-selling charts for more than two years — unprecedented for a jazz album in the 1950s. This particular composition was recorded at the Pershing Hotel’s nightclub in Chicago while he was on tour. Later, due to its sweeping popularity, Jamal made it the title of a whole new album that was released in 1963. “Poinciana“ was a great hit – although not written by Jamal. He later turned it into his signature tune. In fact, my favorite Hollywood star Clint Eastwood featured it in his 1995 movie The Bridges of Madison County. One of Jamal’s well-known albums in the Arab world is After Fajr, which he originally recorded live in mid-2004 with his trio in France but released in 2005. Fajr, Arabic for dawn prayer, is the first of the five daily prayers offered by practicing Muslims. Another favored album is Ahmad Jamal: Live in Baalbeck (Lebanon 2003). A subtle jazz piano virtuoso, Jamal was named Officier de l’Ordre des Arts et des Lettres by the French government in 2007. He is featured as a celebrated jazz master on several jazz history books, including Considering Genius: Writings on Jazz by Stanley Crouch (2007), and Miles Davis and American culture by Gerald Lyn Early (2001).